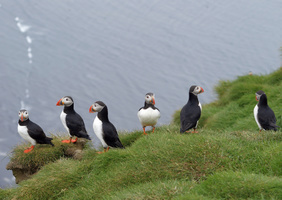 Iceland Tour for all first-time visitors, as well as returning wilderness fans! As the name suggests, our Iceland tour Across the Wilderness will take you off-the-beaten track through the uninhabited and deserted highlands adorned by the colorful mountains of the Landmannalaugar Nature reserve and the black sands of Sprengisandur. You will travel by a specially adapted 4x4 mountain coach. You will explore other major attractions such as Dettifoss waterfall, Geysir geothermal area, Jokulsarlon Glacier Lagoon. There’s always plenty of time to stop and fully appreciate the magnificence of Icelandic nature. 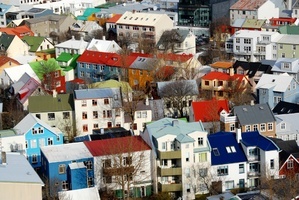 Your first overnight stay will be in Reykjavík (transfers from Keflavík airport not included). Your Iceland tour starts with an easy day, beginning with a visit to Thingvellir National Park, the ancient site of the world's first parliament and a jewel of nature. 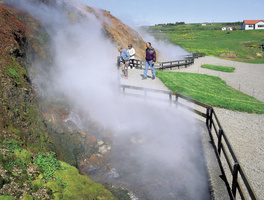 Next we will travel to the nearby Geysir geothermal area and witness boiling pools and hot springs. The most active geyser, Strokkur, shoots water high into the air every few minutes. Onwards we travel to the beautiful Gullfoss “Golden” waterfalls which is among the most impressive in Iceland. Overnight is spent in the Hvolsvöllur area. Admire the two classic waterfalls, Skógafoss and Seljalandsfoss before enjoying great views from Dyrhólaey* headland where thousands of puffins nest during the summer. A stop in the quaint village of Vík follows before crossing the Mýrdalssandur outwash plains of Katla volcano. The day ends by passing through the vast Eldhraun lava field, the largest on earth since the end of the Ice Age. Overnight will be in the Kirkjubæjarklaustur area. The day starts with a drive through beautiful scenery towards the Vatnajökull ice cap, by far the largest in Europe. We circumnavigate the Öræfajökull volcano with Iceland's highest point, Hvannadalshnjúkur. The turn-around point today is Jökulsárlón Glacial Lagoon where huge icebergs float in water full of life. An optional boat tour among the icebergs is possible. At Svínafellsjökull close encounters with a glacier tongue are also an option. On the way we pass by Skaftafell national park. Overnight is in the Kirkjubæjarklaustur area. Meander along the primitive Fjallabaksleið interior track to Landmannalaugar, a magnificent area surrounded by colorful rhyolite mountains with the option of bathing in a naturally warm geothermal pool. This pearl of the interior consists of deep valleys and sculptured, often mossy mountains, many formed in volcanic eruptions under ice-age icecaps, forging a powerfully colorful experience. Overnight will be in the Þjórsárdalur area. Discover hidden parts of the Icelandic interior, exploring the vast and desolate wilderness of the Sprengisandur highland route. Sprengisandur is the longest stretch between the South and North and is passable only during the late summer months. We must bring our own lunch to the Nýidalur mountain hut in the country’s centre, as no services are available on the way. No bridges over the rivers means several river crossings on this rough track. Overnight is in the Lake Mývatn area. We have an absolutely packed day today with a wild variety of landscapes. 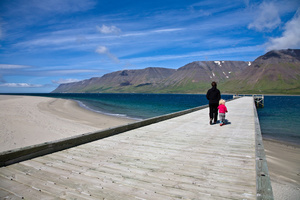 We travel through Húsavík town and around the Tjörnes peninsula, the most northern point of our journey. Discover the serene horseshoe-shaped canyon of Ásbyrgi National Park that according to myth, is the hoof-print left by Sleipnir, the magical eight-legged horse of the Norse god Óðinn. Continue to thundering Dettifoss, the most powerful waterfall in Europe, located in the expansive Jökulsárgljúfur canyon. 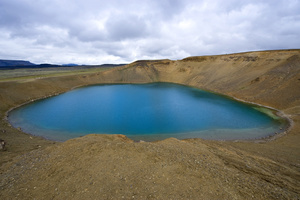 The uniquely beautiful nature reserve of Lake Mývatn follows, a paradise for nature enthusiasts and bird watchers. On the “to-do list” are the solfataras at Hverarönd geothermal region, peculiar lava formations and explosive craters at Krafla. Overnight will be in the Lake Mývatn area. We will visit Goðafoss waterfall today before continuing to Akureyri, the vibrant “Capital of the North” and the second largest urban area in Iceland. 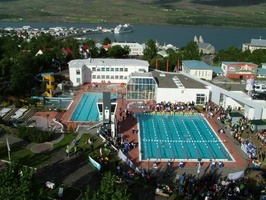 Spend some free time in Akureyri, which can include a visit to the amazing botanical gardens, the geothermal pool complex, or you can go shopping or relax in a local café. Continue to the Skagafjörður area, renowned for horse breeding as well as being home to many important sites relating to the classic Icelandic Sagas. In the evening, a horseback riding tour on locally bred Iceland horses is optional, or take a regenerating walk in the picturesque surroundings. Overnight in the Hvammstangi area. The journey continues through rolling farmlands and across Laxárdalsheiði heath to the Viking Age house at Eiríksstaðir, the original home of Erik the Red and birthplace of his son Leifur Eiriksson, two of the most celebrated Vikings in the world. Then we pass through a series of small fishing villages on the northern coast of the Snæfellsnes peninsula. Overnight will be in the Snæfellsnes area. A day in Snæfellsnes National Park. Circle around the legendary Snæfellsjökull glacier, where, according to Jules Verne, is the entrance to the center of the Earth. Continue to the expansive black sea shore of Djúpalónssandur. Stop at the picturesque harbour village of Arnarstapi with its magnificent columnar basalt rock formations. Take a unique walk between the villages of Arnarstapi and Hellnar before driving to Reykjavik. Overnight stay in Reykjavík. Your Iceland tour ends here. Please noe that transfers to the airport are not included. Please visit our blog for more information. This was an amazing trip! Each day brought new and incredibly beautiful landscapes. Our guide was exceptionally knowledgeable and shared personal stories, as well as a vast amount of information about all the places we visited. It was a feast for all the senses, and a trip of a lifetime for me. As a photographer, I found so many unique and interesting views, I returned home with hundreds of dazzling images, and memories I will cherish. I have traveled and hiked all over the world in my 84 years, visited every continent, and to have a trip so far exceed my expectations was an amazing experience! The scenery was spectacular, our lodging and food excellent. Our Guide, Helga, was tops and kept our international group (we represented 5 different countries!) laughing in and in good spirits the entire time, even when the weather was less than desirable. Our driver, Marcos, was amazing, as he negotiated some very rough terrain with skill and confidence. On most days, we had several expeditions on foot, some over some rough terrain. Because these were spread out over the day, with a chance to rest in-between, as we rode on the bus or stopped for lunch, I was able, even at my age, to rack up several miles a day with ease! This is a trip I highly recommend! We reserve the rights to change the hotels, without prior notice should the necessity arise, the alternative hotel will then be of the same standard. 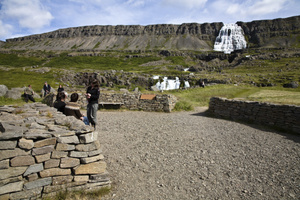 Optional tours should be booked in Iceland with your tour guide. Subject to change at any time. Booked via your guide at the start of your tour. Children 12 years and older pay full price as adults. It is not recommended that children 0-5 years old travel on scheduled tours. With only a basic promised itinerary, this tour ensures freedom and flexibility to add extras and personal content. Only a manageable daily mileage ensures time to not just tick off boxes but take in this land of endless variations of natural power. The trips start at the end of snowmelt in the highlands and continue into early autumn. The high season trips give you midnight sun, but the last trips give you the chance to see the northern lights - Aurora Borealis.